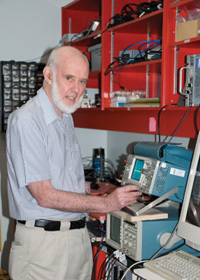 Christopher Thompson who was awarded the Gold Medal from the Canadian Organization of Medical Physicists. This is the highest award from COMP, and is in recognition of his contributions to the field of PET imaging. 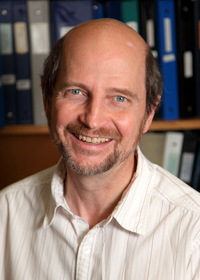 Dr. Thompson will receive the award during the 2014 COMP Annual Scientific Meeting in Banff, Alberta, July 9 to 12. 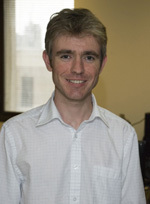 Ken Hastings, who was elected as one of the ten Faculty of Medicine representatives to Senate. Ken will begin his three-year term on September 1, 2014. 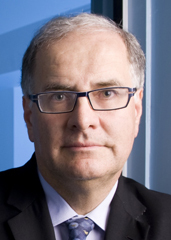 Jacques Bougie, Chair of The Neuro Advisory Board and Co-Chair of Thinking Ahead Campaign (2007-2012), who was honored at the recent McGill Alumni Association Awards Banquet with the EP Taylor award for his outstanding contributions to McGill and The Neuro. Sam Berkovic, former Neuro fellow, who was named a Companion of the Order of Australia for his ground breaking work in discovering genes that cause epilepsy. Amanda Fritz on receiving her Certified Fund Raising Executive (CFRE) accreditation. Amanda is responsible for Leadership and Annual Giving and created and maintains the Neuro’s Facebook page. With the CFRE designation, she becomes one of the youngest of the 25 CFRE professionals in Quebec and one of two at The Neuro, joining Karen Mitchell, who has held her CFRE since 2008. Amanda also received a national scholarship from AFP Foundation for Philanthropy – Canada to attend the annual AFP Conference in San Antonio, TX in March 2014. Valorie Salimpoor, who earned her PhD with Robert Zatorre, on winning the 2013 CGS/ProQuest Distinguished Dissertation Award. Valorie’s graduate research was published in high impact and high profile scientific journals such as Science and Nature Neuroscience. Valorie is currently conducting postdoctoral research at the Rotman Research Institute in Toronto. 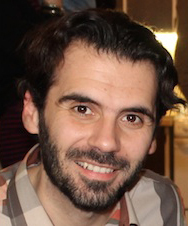 Nikola Stikov, a postdoctoral fellow in the BIC (Pike lab), who has been selected as a Junior Fellow of the International Society for Magnetic Resonance in Medicine (ISMRM).